"Like MUPPETS TREASURE ISLAND. But a little less fur. And in the sky." Like MUPPETS TREASURE ISLAND. But a little less fur. And in the sky. 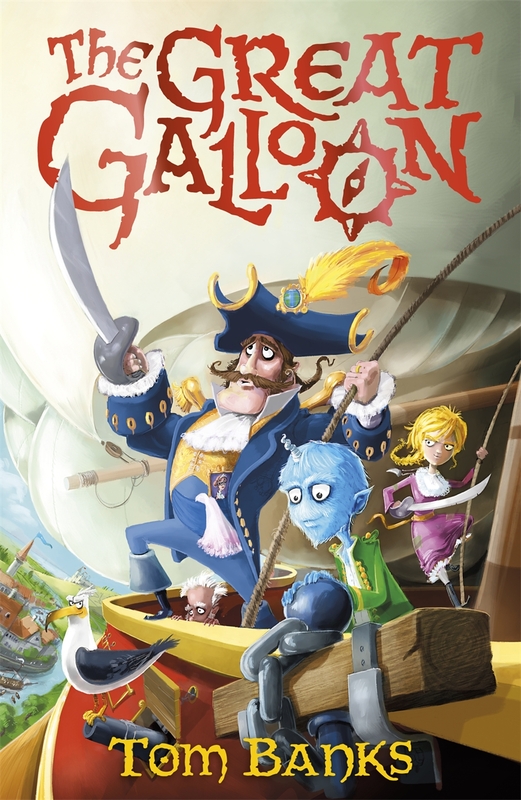 Tom's first book, THE GREAT GALLOON, was shortlisted for the Booktrust Best Book award. 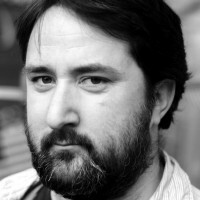 He has mainly worked in the theatre throughout his adult life, running a small company called the Network of Stuff. He has also worked with the acclaimed children's theatre company Tall Stories, devising and performing in shows such as The Gruffalo and Them With Tails all over the world. He has worked as a question writer for TV quiz shows, a Tudor huntsman, and an ineffectual bookseller. He now lives with his partner, Sarah, their two children and an improbably loud three-legged cat in a non-trendy part of North London. At around the time the first noise was heard, Cloudier Peele had been trying very hard to feel sorry for herself. She was hundreds of yards above the Galloon, and about half a mile behind it, sitting in the spartan but comfortable basket of a small hot air balloon, which served the Galloon as a weather station. She was tethered by a long thin rope to an iron ring set in the deck of the Galloon and was, in theory, watching out for the Sumbaroon, bad weather, and land. She had a supply of little rocket-shaped capsules that clipped onto the rope, in which she could place a handwritten note. She would then wind up the clockwork key on the side of the capsule and it would whizz away, down the rope, and land on the deck with a loud crack. In this way the crew of the Galloon could get advance warning of any particularly bad weather coming its way. It was a very responsible job, and Cloudier was secretly thrilled that she was entrusted with it. But the real reason that she always volunteered for weather duty was so that she could spend some time on her own, being pale and interesting. In the basket with her were some cushions and a small side table, on which sat a lamp, some biscuits, and a book of romantic poetry. The book was Cloudier's favourite book ever. It was extremely well thumbed, and had her name written inside the front cover. One day she even planned to read it.